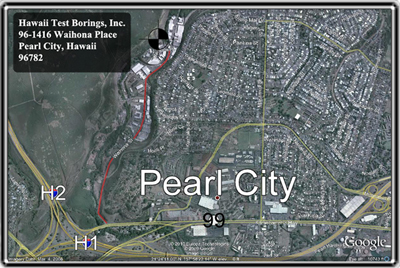 Hawaii Test Borings, Inc., (HTB) is a small minority and woman-owned business and was incorporated on September 1, 1980, under the laws of the State of Hawaii. Our firm has been providing geotechnical and environmental sampling services to the geotechnical firms, government agencies, and private developers throughout the State of Hawaii. We have also provided drilling services on Kwajalein, Ebeye, Truk, Johnston Atoll, Wake Island and Christmas Island. Some of these places, over 7,000 miles away. 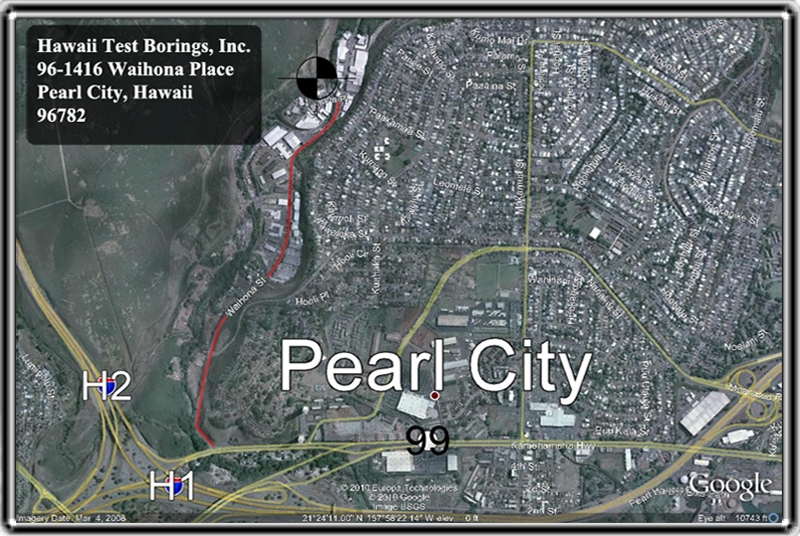 Our office and shop are located at 96-1416 Waihona Place, in the heart of the Pearl City Industrial Park. Traveling West on Kamehameha Highway, you will make a right onto Waihona Street. Continue approximately 1.25 miles down, and make a left onto Waihona Place. We are on the right side. ©2010 Hawaii Test Borings, Inc.